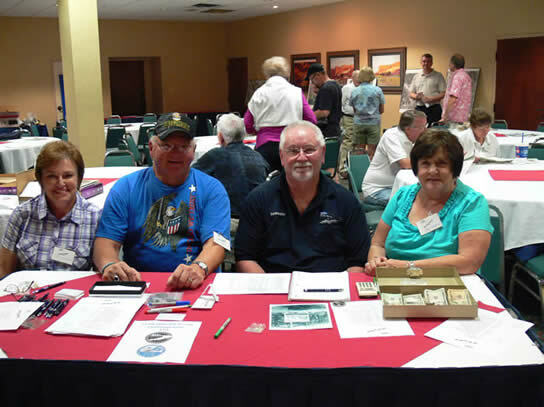 Those that attended our Tucson reunion will all agree we had a great time. We all enjoyed seeing the sights and having fun together. The October weather was perfect and hotel accommodations were first class. We had tours of the Pima Air Museum , the Aircraft Bone yard at Davis- Monthan Air Force Base and Old Tucson Movie Studios. Many thanks to Bud Morris who served as our Reunion Chairman. Both Bud and his lovely wife Dawn helped make everything go smoothly. I also want to thank Kay Nehring for her very interesting "Jungle Skipper" presentation which included both video and artifacts from her Dad, a WWII 39th TCS pilot. 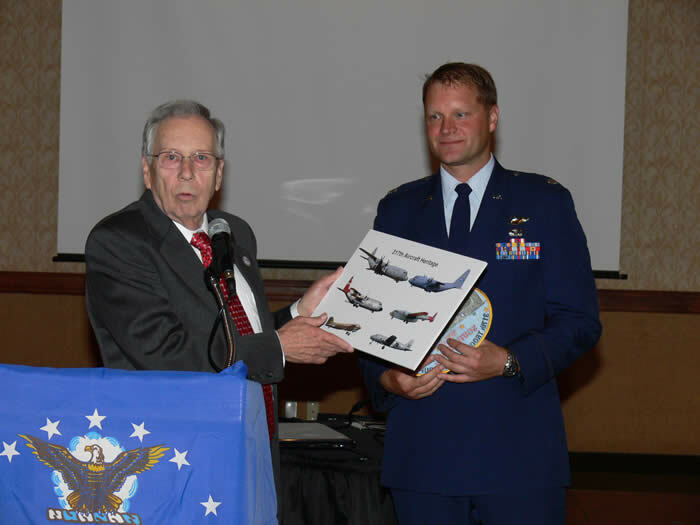 Thanks is also due Col. Richard Bushong, our guest speaker, who had piloted many different aircraft from B-17s in WWII to F-4's in Viet Nam. His 390th Bomb Group had the distinction of bombing Evreux Air Base when it was under German control during WWII. 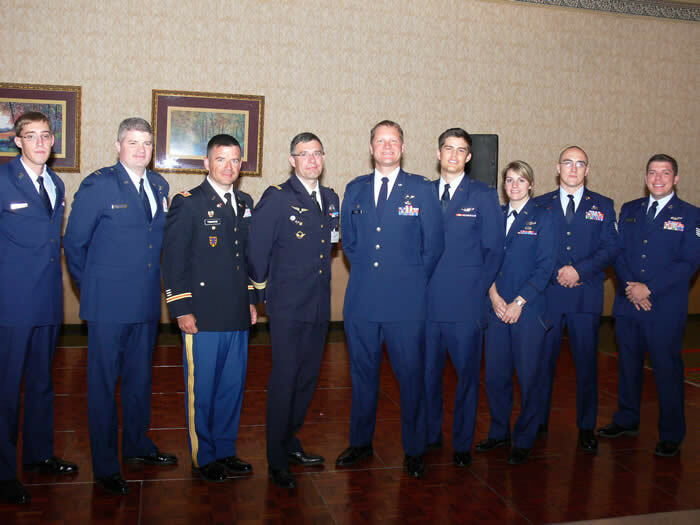 Our distinguished guests included Col. Vincent Severin, FAF, Commander of Air Base 105(Evreux Air Base), Lt. Col. Ken Gjone, commander of the 317th Operational Support Squadron, and a group of active duty 317th Airmen from Dyess AFB, TX. Also present was a good friend of the 317th, Col. Patrice Le Mao, (FAF ret. ), traveling with Patrice was French Historian, Mr. Bertrand Saillard and Mr. Marc Pichard, who will be assisting Patrice with plans for the 2012 Evreux , France reunion. Fellow veteran Harry Foulds, who serves as our official photographer was on hand to take pictures of all the events and the participants. 317th Veterans Group member, Jim Gregory was on hand with hats, shirts and patches bearing 317th VG and Squadron crests. This reunion saw the début of our new 317th Veterans Group challenge coin. This was another great reunion; there was so much to see and do, quite a few folks came a day or two early or stayed longer to travel around and see the sights.